Notebook usage in my Grade 7 language class is framed in spottiness. Don’t get me wrong. 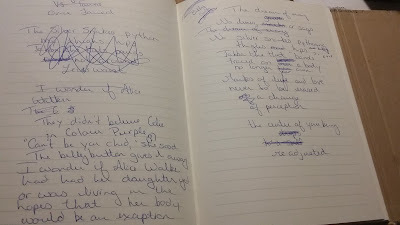 Notebooks are an important tool in my class, but we never end up using them the way I want to. I dream of my students keeping notebooks like the ones Linda Rief describes in Read Write Teach. I’ve read Aimee Buckner’s Notebook Know-How and collected her strategies to help us develop our writing. I’ve poured over Lynda Barry’s drawings and reflection activities in Syllabus because I know that words might be my friends, but they aren’t necessarily the friends of my students. Some of my students, especially ones who find writing more difficult, have greater success and enjoyment when they draw out their ideas, and I have to give them space and time to do this, but in the busy-ness of school life that dream of regular reflection often falls away. When Amy asked me to write a Sharing Our Notebooks post, I didn't think I was qualified to write it. One of my goals as a language teacher is to have students develop the habits of readers and writers. Using a notebook is one of those habits. 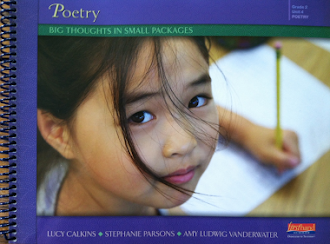 My students know I have a notebook as I often respond to the videos, poems, ideas, stories & questions with them. I've helped them recognize that a notebook doesn't have to be neat, as they can barely read mine. They see the cross outs, angled writing, bubbles and boxes I use to frame my ideas. 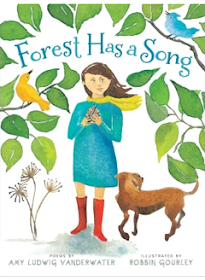 When authors Ted Staunton and Richard Scrimger, joined us to take us through their process of story writing, they generously shared their very different notebooks with us, reinforcing this idea. But I still didn’t think our use of notebooks was overly impressive. so they would have them in mind while they were writing. They pictured their settings and wrote details to use in their stories. They wrote various opening lines to see which ones would draw in their reader. They experimented with the problems their stories would encompass. They drew pictures to show rising action in their plot lines. And sometimes they simply let the arrows tell the story. They were creative, engaged and funny. I wondered if they appreciated the time and planning we put into the notebooks before getting down to the writing or if they were just following instructions. I asked them to complete a Quick Write answering the question, "Did the planning activities in your notebook help you with your story?" so I could see their thinking. Interestingly, responses fell into two distinct categories. Raine: It helped me remember what I wanted to add to my book and ideas we could add. Dakota: It keeps your ideas organized so that you can look back and get more ideas. Carter: Writing in our notebook helps a lot. We could write down ideas and remember them. Tyler: We could just look in our notebooks and write our ideas in the story. 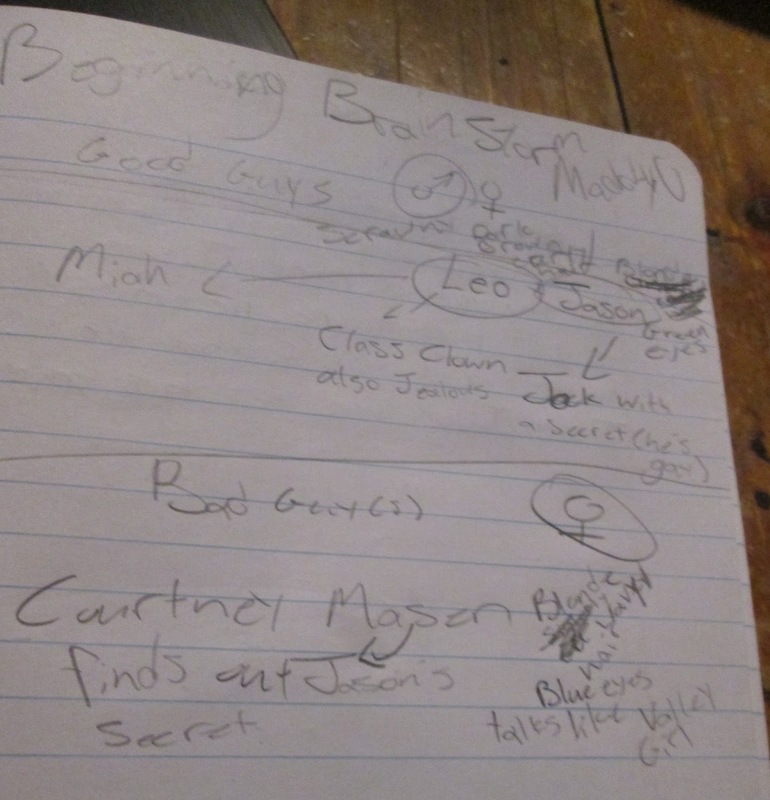 Connor: It helped me visualize the characters and setting by jotting down different ideas and pictures. Sarah: The more I read all my ideas more and more came to my head! Ashlyn: It also keeps your ideas flowing. Raine: It helped me plan out my characters and how they will relate to the story. I was amazed that the collection of minds which make up my classroom, male, female, various learning disabilities, differing socio-economic backgrounds and varying degrees of academic success came to the same consensus. I didn’t fully appreciate how insightful my students were until I came across Sunni Brown's reflections in her book, The Doodle Revolution, on something she calls The Extended Mind. If we think about it, our notebooks are extensions of our brains and repositories of our often fleeting ideas. Brown states that “Creating a physical place in which to pour our thoughts and images permits our minds to release that information from short-term memory, thus letting us see it externalized and releasing us to organize, examine, and reflect on its deeper implications,” (p.24) and that, “extending the mind…is often what makes the emergence of creativity and deeper analysis possible.” (p. 25) My students knew that. They might not have written it as eloquently, but given the chance to reflect, they recognized the power of the notebook. 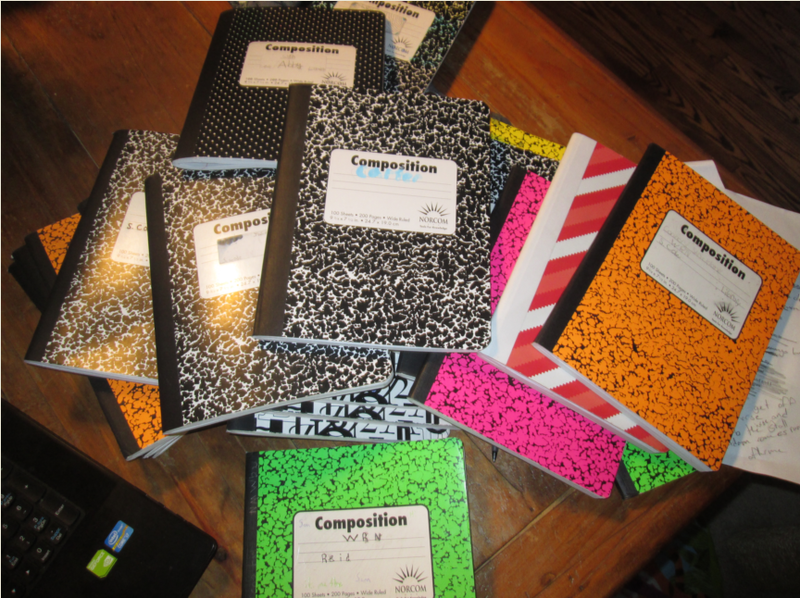 Spotty or not, we will continue to use our notebooks to allow that generation of creativity and analysis. Even if our notebooks aren’t pretty, they have an important place in our classroom, and I’ll just have to work harder to find ways to allow them to experiment with and recognize what a notebook can do! 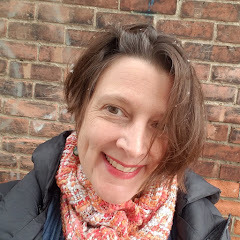 Stefanie Cole has been an avid reader and collector of quotes in multiple notebooks from her hometown, Uxbridge, Ontario, for over thirty years. 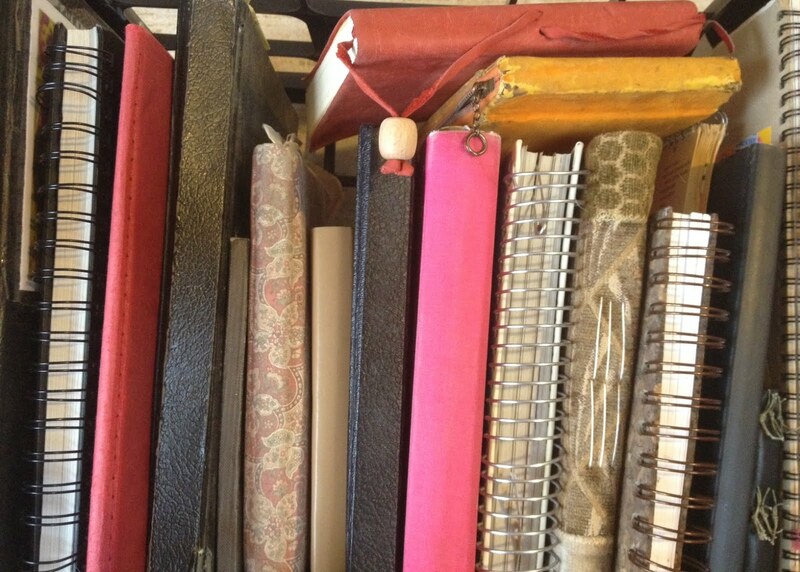 Yes, that's thirty years of notebooks stashed away in her house. This habit eventually led to her becoming a teacher-librarian. For the last five years of her teaching career, she has had the honour of balancing library with Grade 7 Language and now she fills her notebooks with her own writing, as well as the inspirational words of others. She works to pass her passion for the written word on to her students. 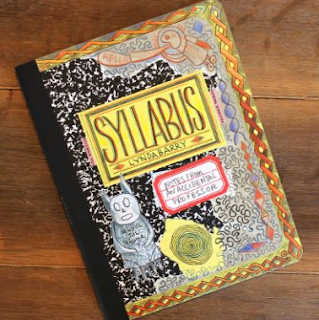 Stefanie has generously offered to give one copy of Lynda Barry's SYLLABUS: NOTES FROM AN ACCIDENTAL PROFESSOR to someone who comments on this post. Please leave a comment, including a way of contacting you should you win, by Saturday, April 30, to be entered into the drawing. I love the photos of the kids' notebooks - and their comments about how jotting notes gives them more ideas. A great reminder to pull out my notebook and keep it at hand. My note-booking is so spotty I think I need to decorate my notebook cover with dots and spots! I loved their comments too. My students always amaze me when they reflect. They reinforce Flannery O'Connor's quote "I write because I don't know what I think until I read what I say" for me. I don't think they know how smart they are. I think Lynda Barry would approve of you decorating your notebook! Love this!!! :) I am so impressed with how you encourage kids to express their unedited creative process and develop the habits of keeping a physical diary of their thoughts, organizing and planning. This is a wonderful tool for WRITING, for sure, but also can be a "vision board" for anything. I especially love the spelling mistakes, cross-outs and pictures!! Thank you, Julie! I agree. Journals can be a vision board for anything, including their lives. I think reflection is such an important part of being. It's also nice to get those ideas & reflections out in a place where you can be unedited and simply attempt to express ideas. Dealing with the rest can come later, if needed! I think teaching kids to use notebooks frees them to explore their ideas and keep building on them. It's a great organization tool as well. I loved that the students were willing to comment about their experiences too. Shows they were having a great time. THANKS! and BIG hugs from an about to retire MATH teacher of 30+ years teaching Grade 7 Language Arts this my year ~ still struggling for journals/notebooks in this class ~ love them ~ just didn't know how to go about it ~ got it now, I think ~ thanks for your inspirational support, Stephanie! Much appreciated! Like you, I have good intentions about using notebooks. One problem is sometimes I want to review the notes written but don't want to take a stack of notebooks home. I love the photos of the kids process. It is like you're allowing them to build a relationship with the writing process which ultimately helps them to use notebooks as a source to draft out their ideas without any restrictions. Keep the good work up. I like using the notebooks to free up short term memory so that the mind is free to think about deeper parts of the story. I am curious about using notebooks to increase middle school students' vocabulary. Other than assigned vocabulary and insisting on students reading novels, I am not familiar with this process to build vocabulary. I love the way you honor the beauty of your students' notebooks. Thank you for sharing the way you create space and time for creativity, and the gritty work of writing. This was exactly what I was looking for to share with teachers. So helpful! Powerful examples. Thank you. So pleased my journey could help others! I love reading comments from students about benefits of notebooking. 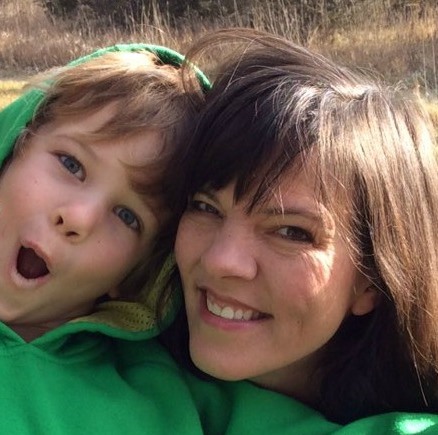 Also that pic of Stefanie and son is adorable! Thank you. I love reading them too! It's amazing what they know when you give them a chance to tell you! After writing a reflective journal you'll take much advantage. I really appreciate this post. Thank you very much. I love thinking about notebooks as an extension of the mind!! We have also tried some sketchnoting in class this year as a way to develop our thoughts and ideas. Some kids love to doodle their ideas, while others still prefer to write out in words what pops into their brain. Either way, all methods are welcome, and if kids think their method could help others, I encourage them to share with eveyone! In addition to their favorite brainstorming method, I tell them to also give someone else's favorite a try every now and then, too. You never know what it can do to help your writing if you don't try it on for size. :-) Thanks for sharing!